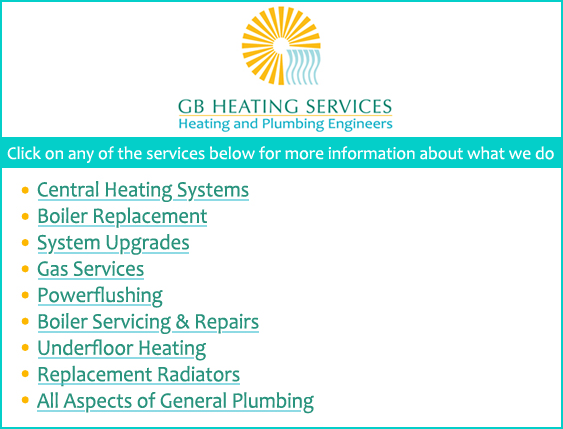 We offer a wide range of plumbing, gas and heating services, all carried out by experts and supported by our office staff. If you have an issue not listed above call us because there’s not much we’ve not come across during our 25 years in business. All our engineers are qualified, experienced and chosen for their friendly and helpful approach. Our owners Steve Butcher and Peter Gee are very hands on and totally committed to making sure our customers’ needs are not only met but exceeded. Whatever boiler you have you can save thousands of pounds and a lot of stress by ensuring it’s serviced every year. To find out more about how we can help you call us on 020 8868 6061.